Used Skoda Superb Review - 2016-present | What Car? 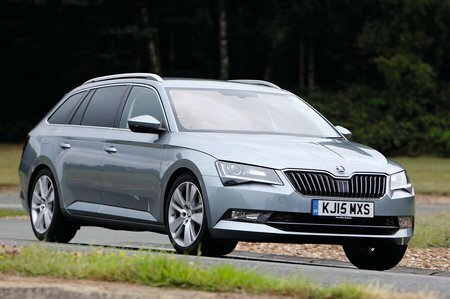 What's the used Skoda Superb estate like? If the sole criteria for a family estate car was space, the Skoda Superb Estate would be the answer to everyone’s needs. Simply put, it takes the already massive hatchback model and adds even more rear capacity, enough to outgun just about every rival in this class, and just possibly everything else on the road too. However, people look for a lot more than that in a good estate car, and luckily the Superb offers enough to satisfy their needs in other areas too. It sits on a stretched version of the Volkswagen Golf’s platform, and underneath its sharp styling it comes with a broad range of excellent engines. The 123bhp 1.4 TSI petrol engine props up the range, and leads on to a couple of versions of the 2.0-litre petrol, in differing states of tune. However, it’s the 1.6-litre and 2.0-litre TDI diesels that dominate the sales. The 2.0 TDI is available in 148bhp and 187bhp variants, both of which can be had with a dual-clutch automatic gearbox and four-wheel drive, while the 118bhp 1.6 TDI is also available in Greenline eco-efficient form. Despite the Superb’s generous proportions, all of the engines move the car around with reasonable speed, and on-paper economy is equally impressive for such a competent load-lugger, with that Greenline-trimmed car claiming an average of 76.4mpg. It rides and handles well, too, if not with the outright vigour of some of the smaller VW Group cars that share its platform, and it’s refined on the motorways. 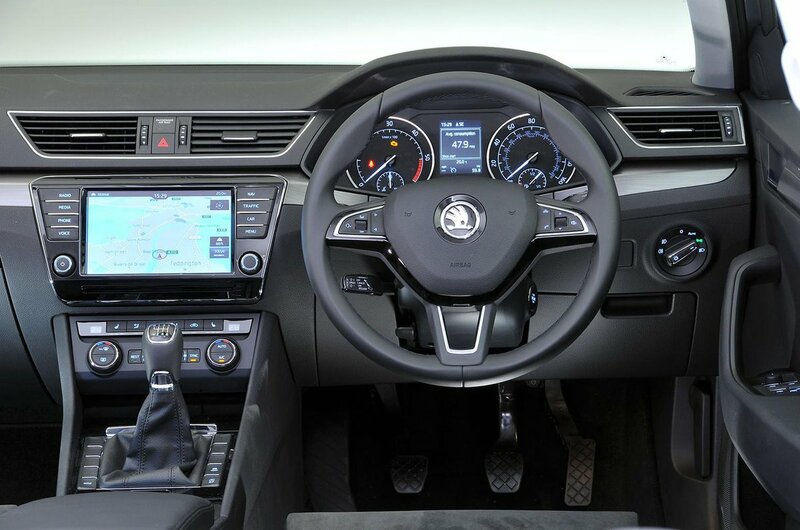 Inside, the driving position is good, the dashboard and the major instruments and controls are all laid out in a clear and logical way and the quality of materials used is high. Its raison d'être is space, of course, and in that regard there’s a large amount up front and a huge amount in the rear. The boot is long and deep and holds significantly more than its main rivals, and is easily accessed, although in terms of its practicality it falls a little behind the flexibility offered by some SUVs. All in, though, a used Superb makes a terrific family car. It’s hugely spacious, quietly handsome and feels modern and up to date, as well as being outstanding value.